Mezzoteam has been designed to leave you the choice of roll-out and our offers can be adapted to the context of every customer. Choice of roll-out Depending on your company policy, confidentiality issues affecting your projects or the resources of your IT department, you can choose the roll-out method that suits you. Adaptation of offers The cost of Cloud offers is based on the amount of data hosted; Intranet offers are based on the number of named user licences acquired. Cloud computing provides not only board and lodging, but also flexibility as regards subscription. 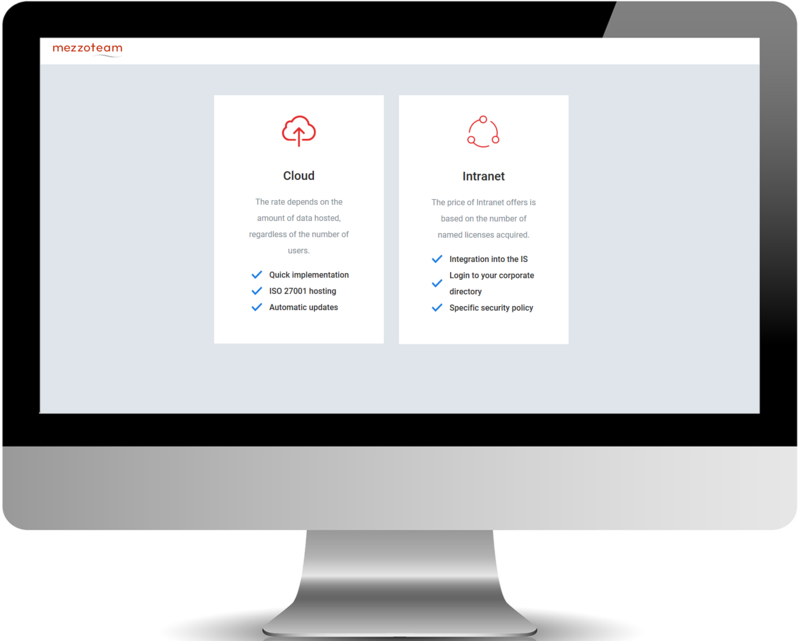 “All-inclusive” offer Servers, bandwidth, firewall, back-ups, supervision, new application versions and access to support for administrators – everything is included in the price of the subscription. The flexibility of a subscription You can give your users access to the service very quickly and can adapt the duration of the subscription to the duration of your projects. 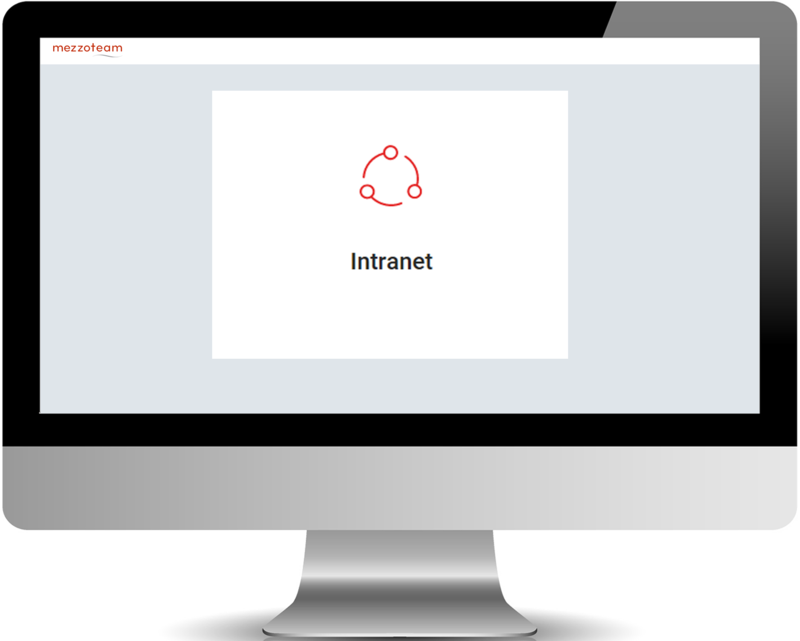 The Intranet provides you with control over the repository, in licence or subscription mode, with the application physically present in your infrastructure. Integration of the application You integrate Mezzoteam in your Information System, which enables you to connect to your company directory in complete safety and, if you wish, you may also give your customers, partners and suppliers access. Licence or Subscription Our offers are available in licence mode, with an annual maintenance cost, or in subscription mode where the cost of acquiring the solution is spread out.